Enjoy the best inspirational, motivational, positive, funny and famous quotes by Amy B. Lyman. Use words and picture quotations to push forward and inspire you keep going in life! 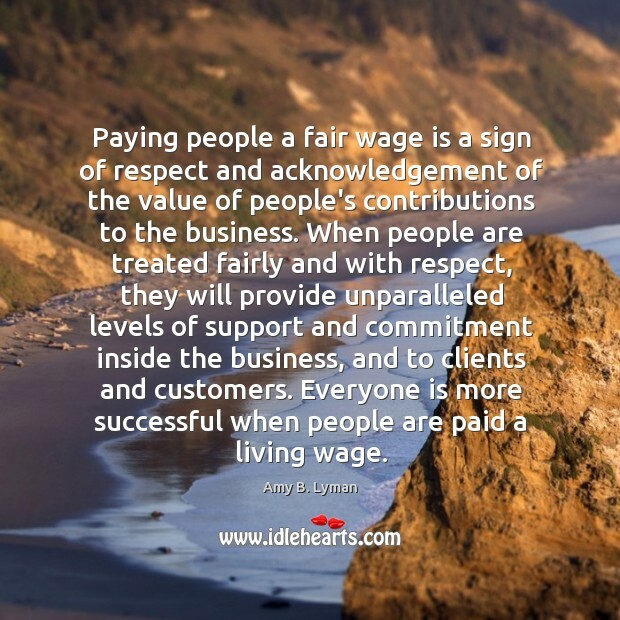 Paying people a fair wage is a sign of respect and acknowledgement of the value of people's contributions to the business. When people are treated fairly and with respect, they will provide unparalleled levels of support and commitment inside the business, and to clients and customers. Everyone is more successful when people are paid a living wage. My testimony has been my anchor and my stay, my satisfaction in times of joy and gladness, my comfort in times of sorrow and discouragement.